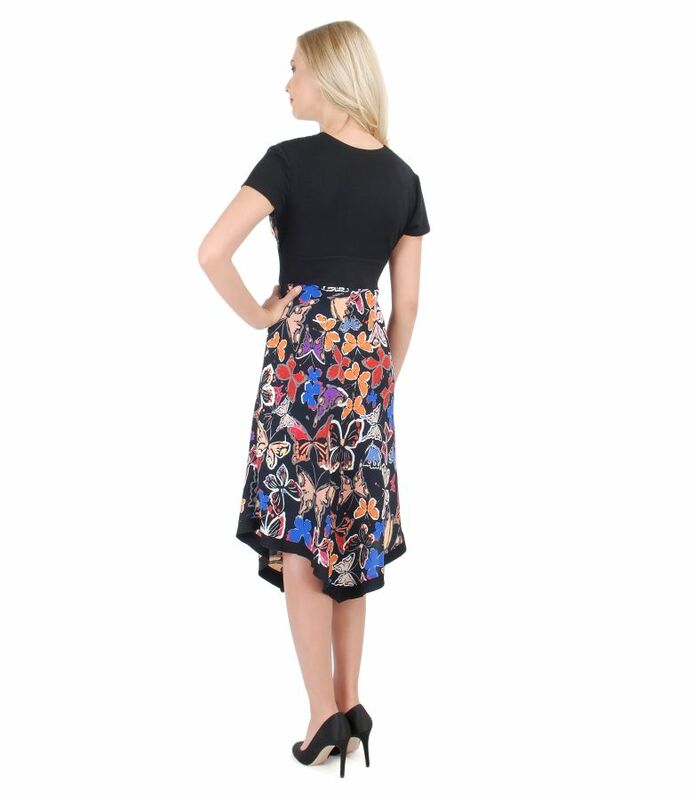 Elastic knit dress with short sleeves and digital print, wrinkled under the bust, skirt with asymmetrical termination. 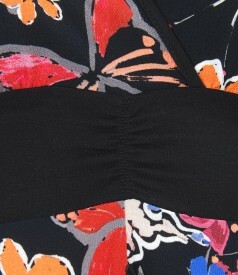 Black viscose jersey trim on back corsage and front and back waist. No closing sistem.